God forbid anyone should do an audit of my basement/stash palace. I really want to see that indigo Book of Negroes quilt made up - love those prints. YAY!! I get to show my husband this list and he is never allowed to complain about my pile of 7 WIPS and mini stash. Good on you Cheryl for getting your room sorted out! You're my kind of quilter!!! Gosh, I've been quilting for 20 years and don't have as many UFOs as you do! Thanks for making me feel so good! And your book looks awesome. 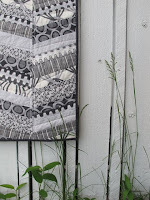 I've only seen peeps of it on quilters' blogs, but the pictures look great. Keep up the creativity! I've only been quilting for about 2 years and I already have noticed that I rather start stuff then finish stuff. I think that is normal. Don't be so hard on yourself. You have lots of time to work on these projects and still be inspired to make new projects. 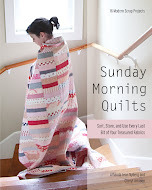 By the way I love your book Sunday Morning Quilts. 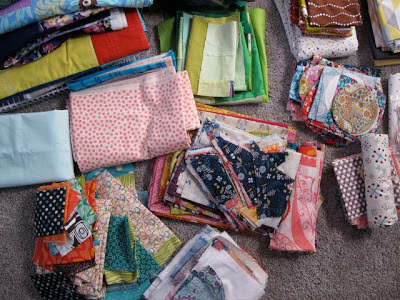 I came to a similar realization when I moved into my studio...somehow having had it scattered in various bins, boxes, closets, and things had me not quite realizing how many WIPs and how much fabric I had. The good news is that having it all sorted and in one place has made it much easier to use up! 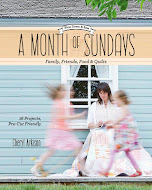 Pat Sloan has a terrific 12 point system for being HONEST with your WIPs - check it out! And good luck of course. Wow, just a few UFO'S lol Hope you manage to get through this lot. I love your cupboard, I just squeezed painted bookcases inside my cupboard, wish I had thought of this. 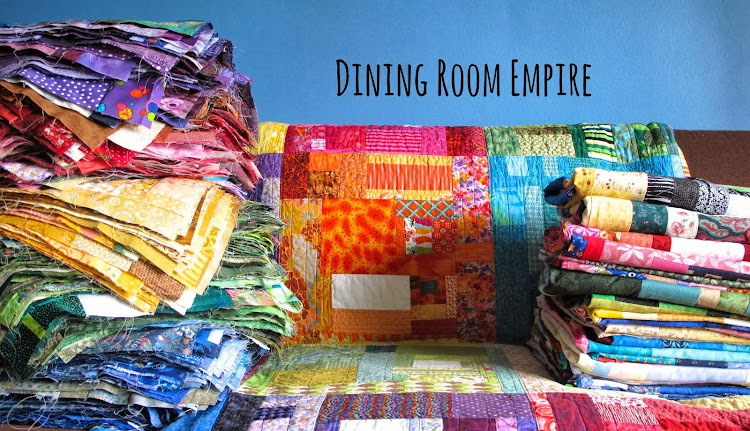 That is an impressive number, it is a good thing you are going to have some more quilting space! And you are so lucky to get the Architextures! I have no problem with decorating with unfinished works. I have several unfinished quilt tops hanging around my studio and it looks intentional. I also have loads of fabric that is no longer my style but that is accidental. Well, the good news is that you always have something you can be doing if you were to ever have time to get bored…? At least the clear-out gives you a chance to refocus and see what you've got going on. All those orphans get attention again. And thanks for making me feel better about my pile of WIPs and intentionals… But I'll probably be adding Architextures to my stash, too. It's far too pretty to resist. I like to think of your list as pages in your quilter's portfolio. It's brimming with good stuff. I know how you feel, Cheryl. I just recently took an inventory of my WIPs and UFOs. I have something like 30 quilts in the mix in varying degrees of doneness. This makes me feel so much better. I have 29 projects in a list just like this, and it's nice to know I'm not alone haha! Writing the list has really helped me sew with the intent of finishing something, rather than starting new projects. Hopefully it will be useful for you as well; its a great way to keep yourself accountable. I'm afraid to count my quilts waiting to be quilted. if only I could afford to have someone else quilt them. Have to admit I'm a starter more than a finisher and definitely a hoarder of fabric. 2013 will be more goal driven to use and finish. The other day my husband finally figured out that I have a lot of fabric! For so long, he just didn't notice, and now it's like, "STOP!". So, I guess I'm on a fabric diet, too. Sounds like it's time for you to get those WIP finished up! 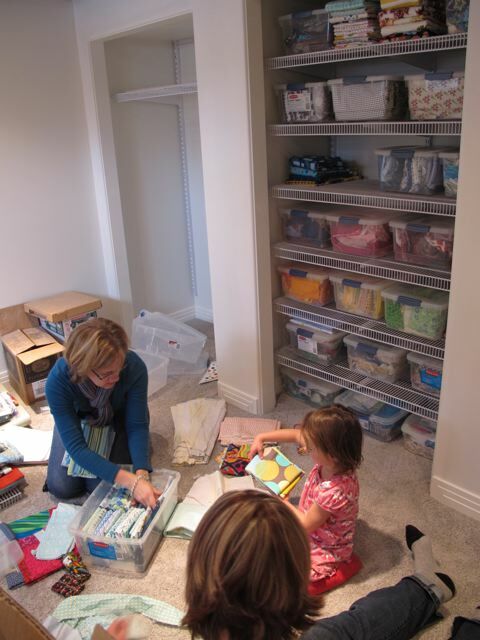 It was nice for you to have help organizing. How fun to have friends come and help you out with a daunting task like that. Have fun with those projects and remember that finishing is FUN! I can't work on more than 2 projects at a time (in my professional life I start and finish everything on a time line) as it leaves me feeling scattered. Last year my friend Jackie (Birds on a Wire designer)decided she had to cut down on her ufo's because I had inspired her. I believ she has gone from 44 to 12 left to complete - all started with a list and the stage that each quilt was at. Now she has inspired me to be more creative.